When introduced in mid-2012, the Coveo Platform 7 out-of-the-box .NET search interfaces were revamped with the following new or improved features. 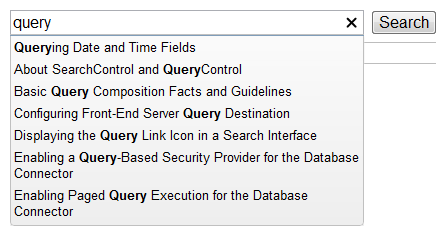 A Coveo search box can propose query suggestions that appear as a drop-down list below the search box. 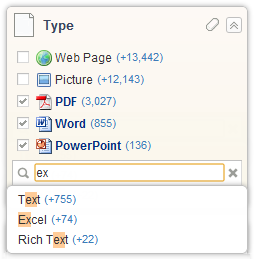 The suggestions dynamically match typed keywords to allow users to pick an appropriate query (see Using Query Completions). Your Coveo administrator can activate and configure the query completion to be taken from one or more sources like from a file, from search history, email fields, or specific fields (see Configuring Query Completions in .NET Search Boxes). Note: The Coveo Platform 7 also comes with many new back-end features (see What's New - Coveo Platform 7 Introduction).